Trip to NYC and facing my fears – worth it to work with some favorites at Pace University! This is a talented, kind, funny, dedicated group of Orientation Leaders and Advisors who work all summer long to welcome new students to their fine institution. It is a true pleasure to see them in action as they begin a long and winding road of programming, counseling, team building, befriending, belonging, hope and transformation. They welcome me as one of their own and I am always impressed by their professionalism and openness with each other and with me. THANK YOU PACE U 🙂 YOU KNOW! Have a wonderful summer – look for my Wednesday Motivations – I will send you happy thoughts! FEAR is….False Evidence Appearing Real. Or…..not???? Now, the Holland Tunnel – it goes UNDER the Hudson River. There is a significant body of water ABOVE all of us as we drive through the tunnel for an hour (OK ten minutes max) but you know. Real evidence but perhaps not to be feared because of the expert construction and design, time tested safety records, high maintenance standards, blah, blah, blah. Nonetheless, it is a little scary and I propose, reasonable, to be a tiny bit on guard during the under water trek. Plus the signs that say, “Not an Exit” all along the roadway freak me out a little. Like, oh really, that is NOT an exit? Thank you for reminding me that the door with the sign leads to a RIVER. “Danger is real, fear is a choice”, says Will Smith in the movie “After Earth” – hmmm. 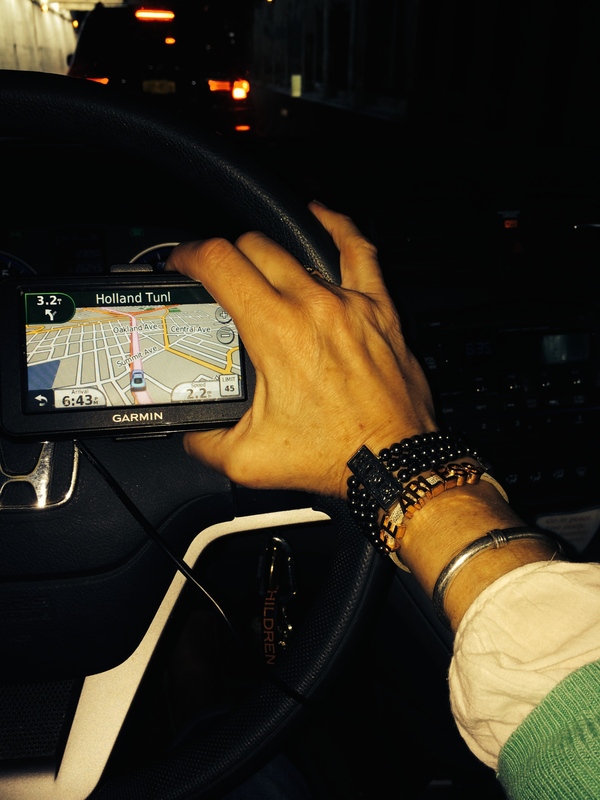 Is the Holland Tunnel dangerous? Probably not. More dangerous than sitting in my house? Yes. I guess it is all on a continuum. Having fear for some people can be debilitating – I have a large sympathy for what that must be like. It is complex in severe cases to be sure – AND on smaller scales, I think there are ways to manage risk so that you can live your life free of worry. Always good to use your intellect – have the facts, check your experience, know your sources. Also, consider 1) Is there danger? (What is it, can it be avoided? 2) Am I at risk? (Physically? Emotionally?) That’s it – right? Everything else falls into place after that. My big 3) is that I trust that God is taking care of me and will keep me from harm. That one makes it easy to go through the Tunnel. Twice. What do you fear? How do you keep your FEAR at bay? How do you face what you are afraid of? Who do you trust? Had a great morning with the Ithaca College Student Affairs and Campus Life staff today! 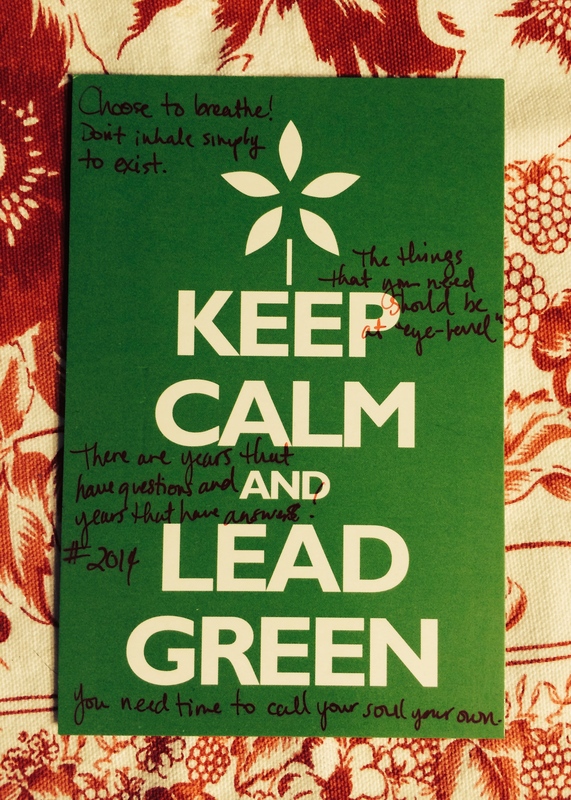 We talked about Nothing New from the “It’s Cooler to Be Balanced Not Busy” perspective…a very open, kind, welcoming and dedicated group. This event was headed up by Doreen Hettich Atkins – programming expert (among a few of her talents) and started with The Big Breakfast to kick things off. Well done! It was a treat to work with Doreen and her colleagues – I am grateful for their wisdom and inspired by how they take care of their students and each other. In my family, The Big Breakfast happens at my cousin’s cabin in Lake Nebagamon, WI….the myth is that if you get up early enough (never before Auntie Norma who gets up at 5am or earlier) you will have access to the Big Breakfast. The cool thing is – that breakfast runs all morning long with a wide assortment of monkey bread, toast, egg bake casserole-y type things, fruit, maybe pancakes always coffee and loads of love. Unconditional, family, historical, grounded, forgiving love. What/where/who is your Big Breakfast? I will not get it all done before I leave, but for the first time in 15 (!) years I am getting rid of all (most of) the PAPER. 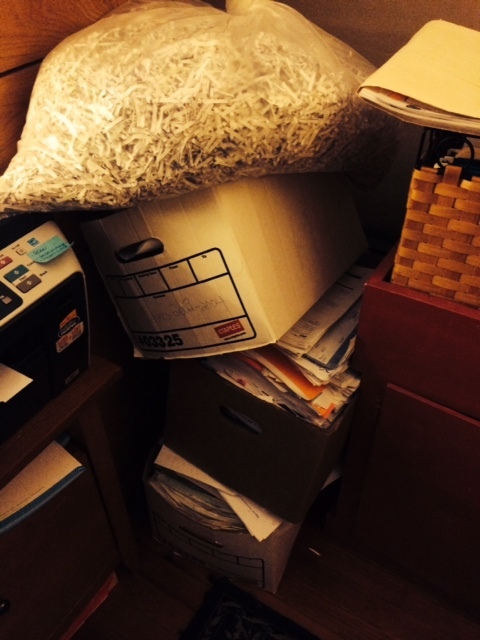 I am shredding much of it AND I think I will give up and take it to Staples to be shredded for $.79 a pound. Said, “Goodbye” to my 1977 tax records (37 years ago – I mean really) documenting my first real job as a Milwaukee County Lifeguard. “Thanks for the memories” to so so many topical files with articles, MIMEOGRAPHED handouts, workbooks and conference programs. “See you never” to the old letters from no longer friends…I already feel lighter. Some of the files take longer than others. Which of your files take longer? Personal? Work? Family? My neighbor Margaret passed away a year ago today….and in the weeks and days she was leaving this place, we had a backyard visitor. 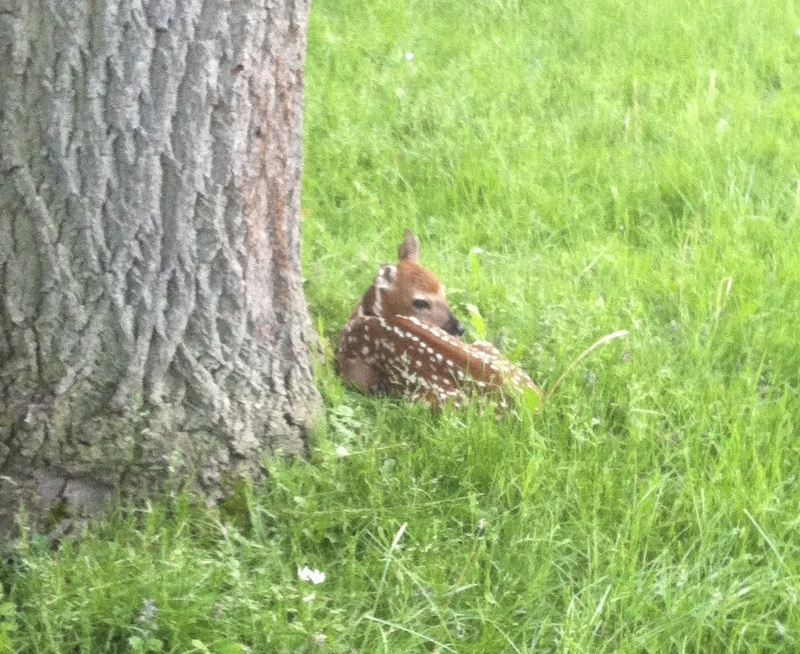 This fawn was “dropped” by her mom in my backyard…of course I named her Margaret. I took it as a sign – a reminder of the circle of life, (bitter) sweet beginnings, and often bitter (sweet) endings. I took it personally that Bambi’s Mother would choose me and my yard as a safe haven for her baby. Her perfect spotted, baby wonder. I saw M four times before she went off on her own – I like to think that we bonded somehow – that she and her mom knew I could be trusted. We think it was her that came back around in the fall – marching (munching) right up to our hostas and strolling through our yards to eventually cross the street in search of more lunch. I hope she survived our horrible Winter (I will not lament the hideousness) and dropped her baby somewhere safe this Spring. And I hope that Margaret the Mother, Daughter, Sister, Friend is strolling a street somewhere….peaceful with birds, gardens, and open green space…rest well Neighbor. I am not at all skilled in asking for help. It is like a anti-skill – not only do I not have it, I have the opposite of it. Even when help is offered by a trusted friend I have a hard time accepting it. I am not sure where this comes from. At it’s best, this makes me very independent, self-sufficient and confident. At its worst this means I often do *not* get everything done resulting in stress or a regret of having to let things go. Oddly, I enjoy helping other people and feel good when I can do so! I am also OK with saying no and expect my friends to do the same. So why is it so hard for me to ask for help???? On Friday, my (Reverse) Mentors, Christina and David offered to take care of shipping out books while I am away and I said yes! 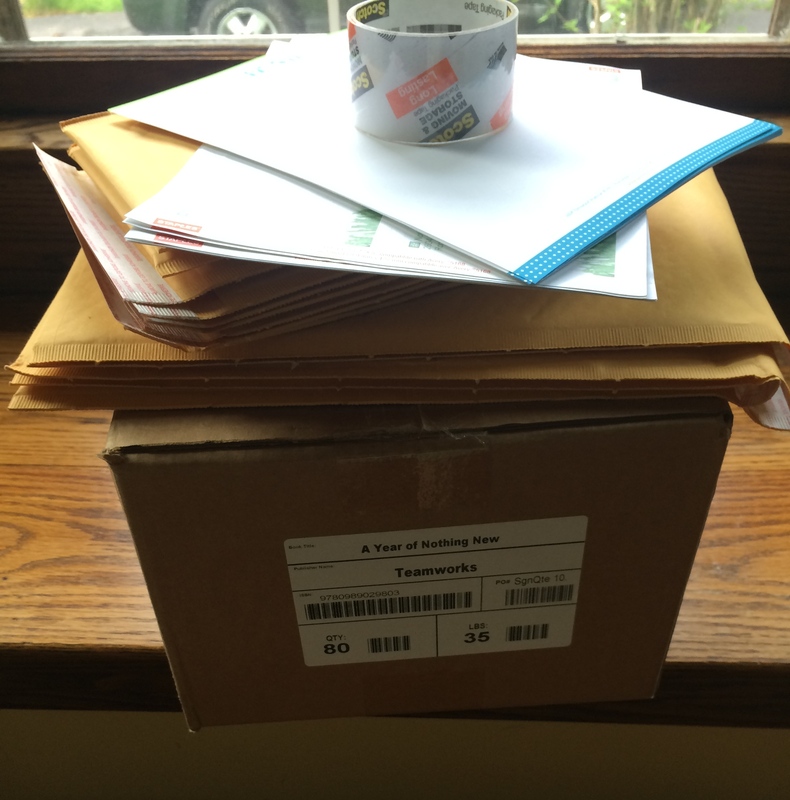 They are wonderful to offer and now I can have books going out over the summer – yay! I am relieved and appreciative. There is some work to get the “kit” together and a few calls to make but other than that, it is easy and amazing to have their help! Intention for the day? HELP and BE HELPED. How do you ask for help??? See Ya Lata School #28! 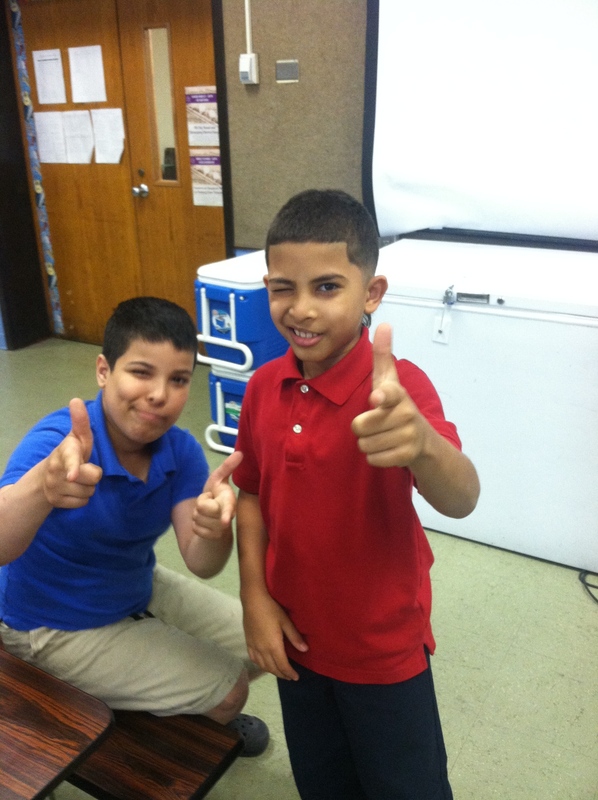 Sebasthayan and Ambiorix taught me a new “see you later” sign – it includes a wink and a smile…. Yesterday was my last volunteer day at Henry Hudson School #28 for the year and it was a little sad! Except that I will see all my 4th Graders (almost 5th Graders!) next year back in our old (new!) school – hooray! This group of kids was delightful – I love them. Had a few other significant endings these past few weeks – endings lead to beginnings and intellectually, I know this. Emotionally, endings are bitter, sweet and needed to move on. When I’m holding on to the past, I do not have my hands free to reach to the future…Then Hands-Free it is. What needs to be hands-free in your life? Use a toothbrush to get the concoction into the fibers, let it sit overnight and wash as usual….yay! 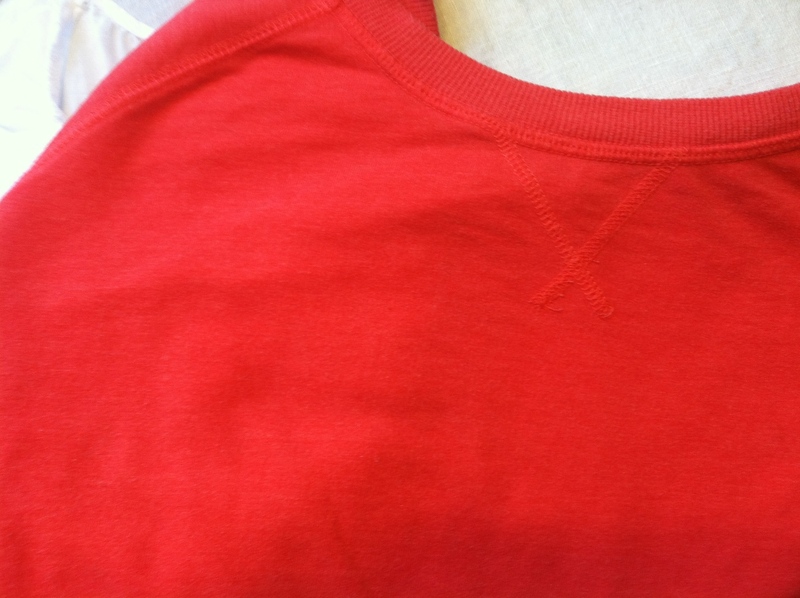 I also brightened up a yellowed neckline on a white cotton dress and Mom was able to remove a ketchup stain. More yay! 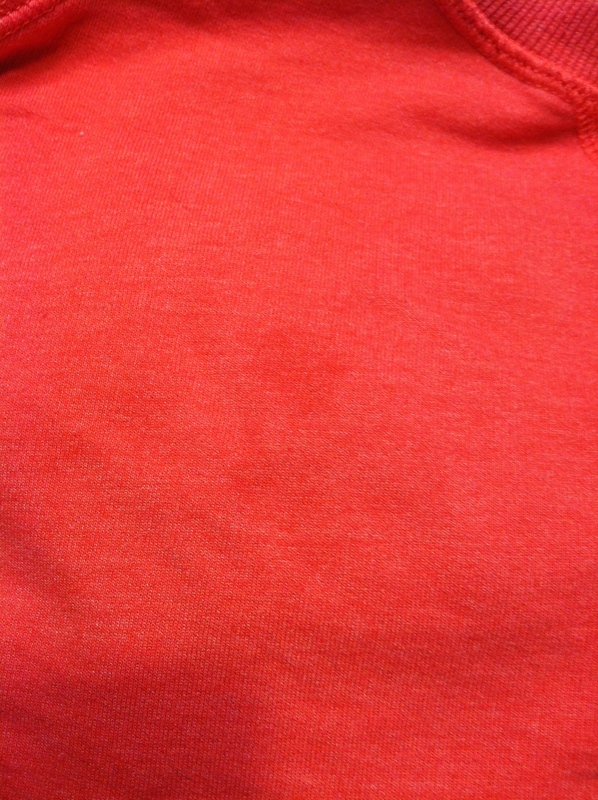 See 5/20/14 post for stain remover recipe. Short posts this week – getting down to the wire for leaving – yikes! 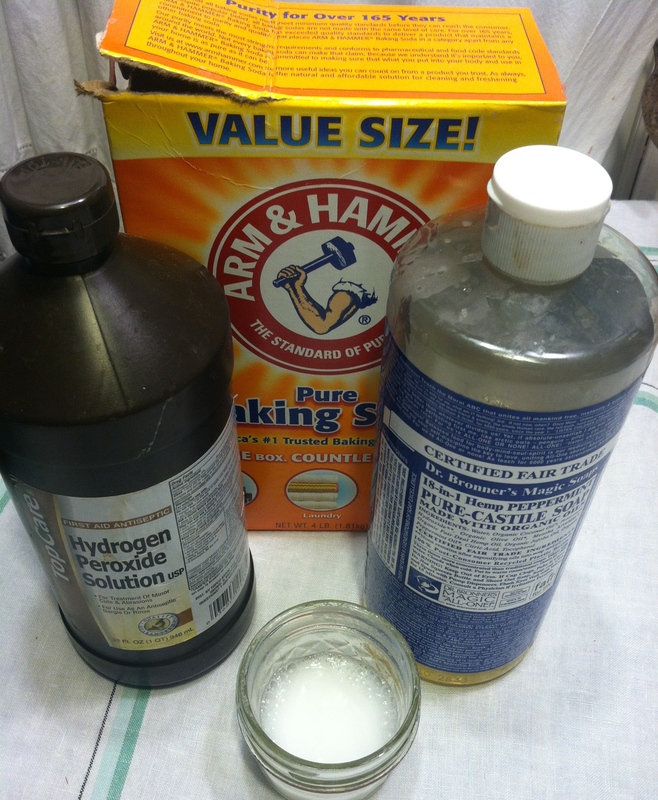 Marcia shared a DIY stain remover – thanks Mom! I am most excited that all these items are on hand – not smug – excited! More Growing. More Mowing. That’s the Power of Lots of Rain and Warmer Days Then Rain Then Warmer. I swear I just mowed. Don’t get me wrong – I like the warm(er) weather, being outside, the luxury of being at home and not on the road and the satisfaction of the straight lines that create a visible finished product. AND – I also swear that theses purple mint-family flowers grow overnight. I trim them but not too low – so the bees can still get in there. 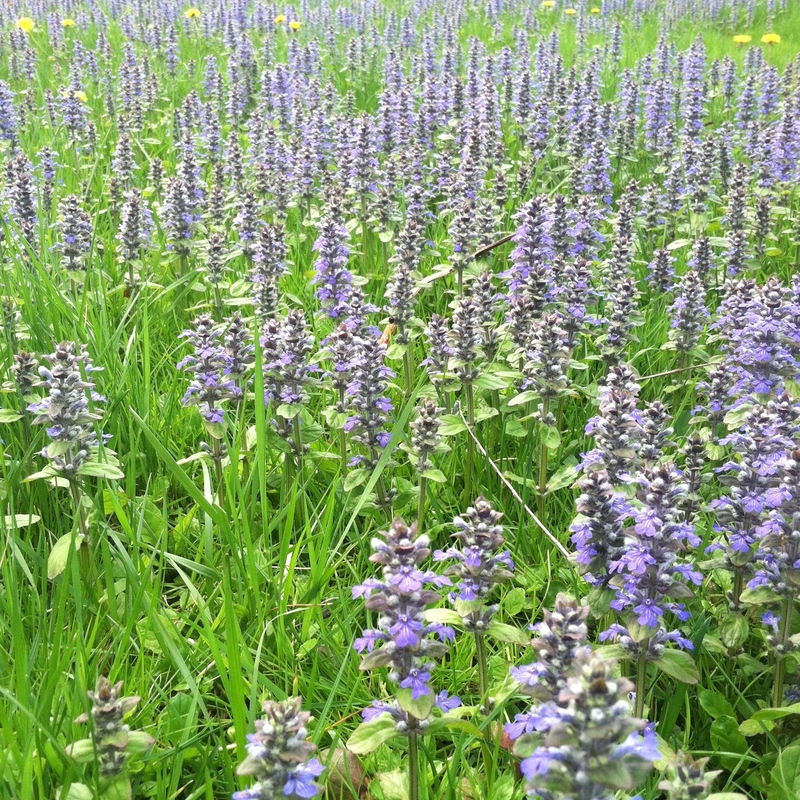 They don’t last all summer so I kind of hate to cut them at all…a meadow of color! With my pending travel, time marches on and these fast growing beauties are marking my Spring days with joy. I am trying to take in every simple pleasure. So much to do but I don’t want to work or wish the days away…every mow, every kitty hug, every conversation, every night’s sleep, every pot of coffee brewed…paying attention and staying grateful. That’s the Power of the _______________.